Google’s new hardware fails to impress, Sailfish X becomes a reality & the most disappointing thing about Munich’s slide back to proprietary software. 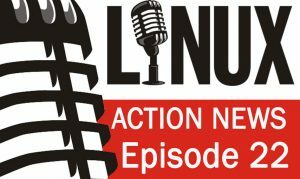 Plus why Bitcoin Gold is the people’s coin, Oracle advises the White House against FOSS & ChromeOS gets a grownup Linux feature. Google Announce new Hardware — Google announced the new Pixel 2 and Pixel 2 XL; an interesting new camera called Google Clips; a new Google Home Mini and Max; a Pixelbook, and an updated Google Daydream. Chrome OS gets a lot more interesting — This component, known as crosvm, runs untrusted operating systems along with virtualized devices. No actual hardware is emulated. This only runs VMs through the Linux’s KVM interface. Sailfish X becomes a reality — Jolla have released the Sailfish X product page and the Jolla shop (which at the moment is dedicated to the selling of Sailfish X). First 64-bit RISC-V SOC released — The processor is intended for AI, machine learning, networking, gateways and smart IoT devices. “The city will use MS Exchange. It will be used for mail and calendar, so Kolab will not be used anymore,” said the source, adding that the switch will take place in November. Bitcoin Gold — The fork mainly seems to be a reaction to widespread ire directed at one Bitcoin mining giant in particular, China-based Bitmain. Bitmain was an important player in the Bitcoin Cash fork.